This is the perfect opportunity for you to make plans to visit this beautiful, coastal region. Enjoy daytime excursions to the nearby, historic cities of Beaufort, Charleston and Savannah. Partake in the wealth of outdoor activities afforded by the warm climate, such as tennis or golfing year round. Explore the waterways on a kayak or go charter fishing. Discover unique shopping and dining experiences! Relax at our riverfront pool or on a swing in one of our waterfront parks. Feel what it would be like to own a home in the quaint seaside town of Habersham, renowned as “America’s Best Neighborhood Design” by the National Home Builders Association. The Habersham Village Flats are modern two bedroom, two bath condos that help define the town’s new urbanist design. Just steps from the flats you can access the shops & restaurants of the Habersham Marketplace and all of the neighborhood amenities including the pool complex, river retreat and waterfront parks. 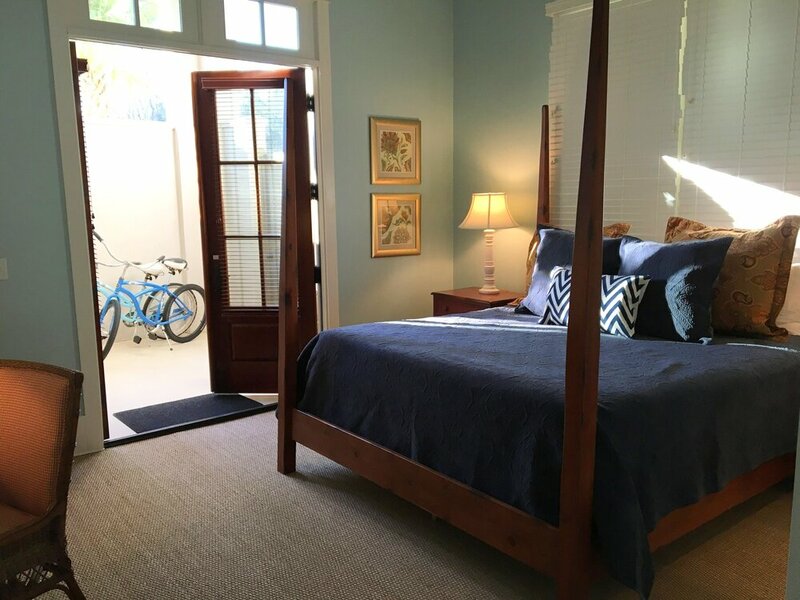 The Village Flats feature a private courtyard or screened porch on each unit plus elevator access, private parking and gated entry as well as stainless grills and bike racks located in commons. These units are convenient for visitors and the prefect accommodations during your discovery. Your preference of arrival date? Number of nights you'd like to reserve? Thank you for your interest in a Discovery Getaway in Habersham.